Mark is a senior finance & accounting executive with over 16 years of management experience gained as Controller, Director of Finance, and CFO for a mix of public and private sector companies. He has strong technical accounting credentials, combined with strategic skills in business planning, mergers/acquisitions, ERP installation, restructuring, and corporate exit strategies (both liquidation and sales). As a Controller for EnerG2, Mark managed the accounting on a multi-million dollar manufacturing construction project, which was partially funded by a grant from the U.S. Department of Energy. As Director of Finance & Administration at Archus Orthopedics Inc, Mark oversaw all accounting, finance, and administrative operations, in addition to supervising the stock incentive plan and the Human Resources and IT departments. 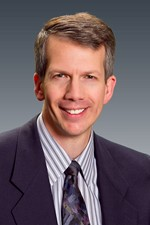 Prior to Archus, Mark was controller at ProCyte Corporation, where he directed all accounting operations, including stock incentive plans and stock transfer agent activities, and managed quarterly/annual SEC financial reporting, as well as federal and multi-state tax reporting for this public company. As CFO of Purewater, Mark played a strategic role in helping the business owners increase the value of their business by more than 300% between 1995 and 1999, culminating in the company’s successful sale in 1999. Mark has also worked at two public accounting firms, and as an independent consultant managing accounting, tax planning, and business consulting for multiple clients. 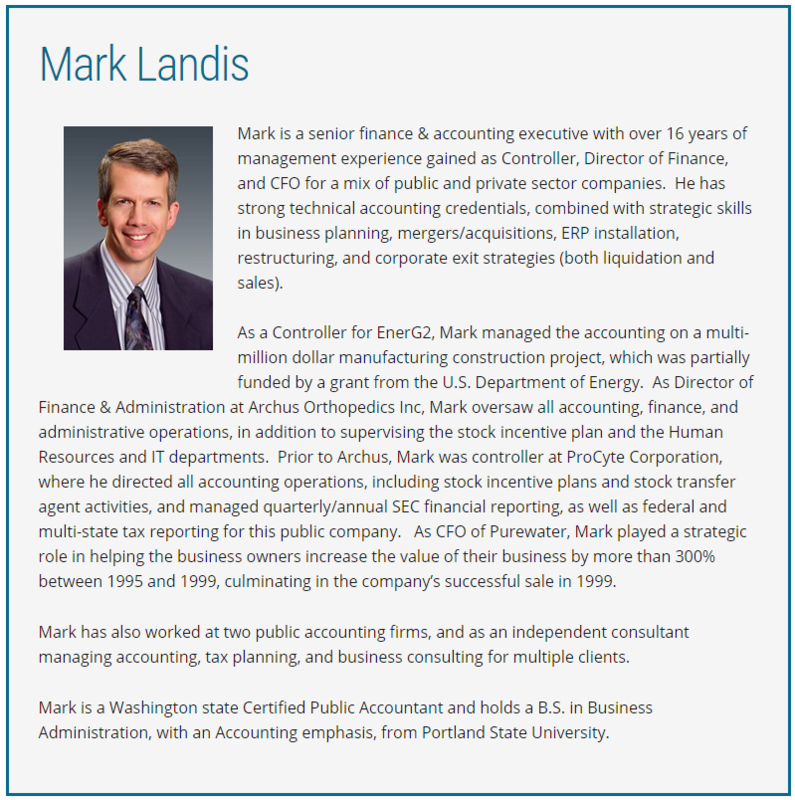 Mark is a Washington state Certified Public Accountant and holds a B.S. in Business Administration, with an Accounting emphasis, from Portland State University.